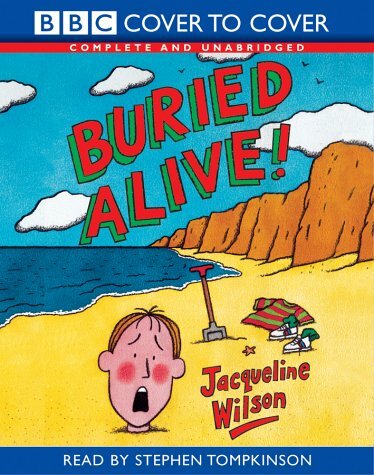 Wilson is less well-known for her 'boys' stories but Buried Alive!, a sequel to Cliffhanger (see BfK 121), shows that she is just as skilful in describing their relationships and exploring their relationships and exploring their feelings as she is with girls. Building on the friendship forged at an adventure holiday, timid Tim and the confident Biscuits are together again having a brilliant time at the seaside with Tim's parents. Brilliant, until they meet bully boys Prickle-Head and Pinch-Face. Against a sharp and wittily observed background - Mum's anxious protectiveness and Dad's embarrassing enthusiasm for sport - Buried Alive! is a terrific adventure, perfectly read by Stephen Tompkinson who brings out the best in the characters and delivers all the jokes effortlessly.